Are you tired of having to fight your way through clutter on your way from the car into the house? Or perhaps your garage is too disorganized and full of stuff that you can’t even fit your car in it. If this sounds familiar, More Space Place can help! Our custom garage storage systems can help you cut through the clutter and make room for the lawnmower, tools, and even your SUV. When you work with More Space Place, you’re sure to be in good hands throughout your entire project. We offer free in-home consultations where we come take accurate measurements of your garage, speak with you about your storage needs, and come up with a design that will make the most of your available space. We provide free, no-obligation estimates of your project so you can have an idea of what it will look like before you decide. 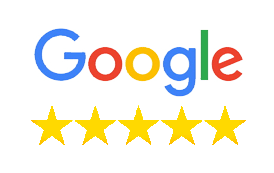 Our experienced professionals are local to the Sarasota, Bradenton, and Port Charlotte areas, and we pride ourselves on providing excellent customer service. In addition to the storage part, we can also help make sure your garage stays organized after we’re done. Choosing to design your own custom garage storage solution will yield the best possible results over a standard unit you’d buy from a store. That’s because we all have different spatial conditions and storage needs, so the one-size-fits-all approach doesn’t really work. Since we build our storage components in our own facilities based on your personal design, we can ensure the perfect fit every time. You’ll be able to choose from a variety of options, including slat wall storage, cabinets, adjustable shelving, hooks, workbenches, and more. Whatever items need to be stored in your garage, we can make sure there’s a place for everything. Our experts are great at utilizing every inch of space to make sure you get the most out of your storage system. If you’re ready to learn more about our customized garage storage systems and what we can do for you, contact us today for a free estimate! Once your garage system is complete, you’ll wish you’d have had it done a long time ago. Come by your local More Space Place showroom to explore the possibilities. Our staff is here to provide you with a FREE no-obligation design consultation, quotation and 3-D design drawing of your project.